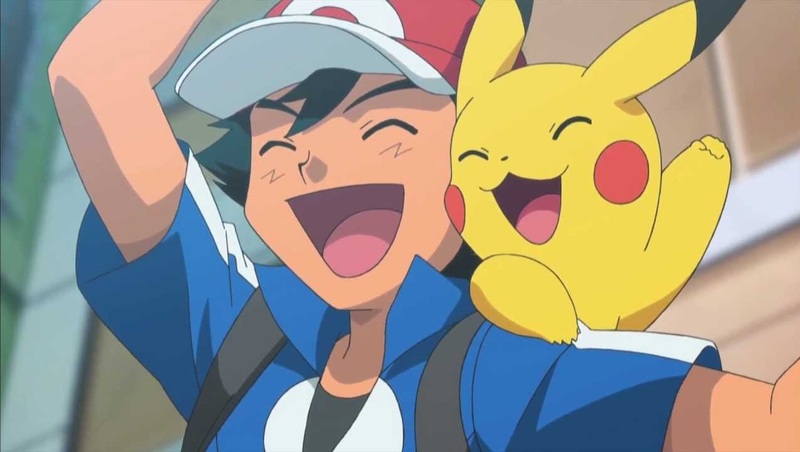 Following on from the reveal of CITV broadcasting the seventeenth Pokemon movie this easter bank-holiday new listings on Sky (and Freeview) reveal that the eighteenth season of Pokemon, which is the second season in the Pokemon XY timeline, will be broadcast on Easter Monday. Series 18, Episode 1: Pathways to Performance Partnering: Animated adventures with Ash Ketchum and friends. Our heroes head to Coumarine City. A lunchtime squabble between Clemont’s Chespin and Serena’s Pancham gets out of hand – but that is soon all forgotten when they bump into Smoochum and Farfetch’d. Their trainer, Nini is planning to enter her first Pokemon Showcase, just like Serena, and they are eager for feedback on their performance. However, with Team Rocket nearby, our heroes are certainly not the only ones ready for an impromptu show. We assume that this episode of Pokemon XY being shown on Monday is a ‘teaser’ of things to come; as CITV did the same when Pokemon XY first aired on the channel; in short this episode will be shown on Monday as a ‘bank-holiday-special’ and then in a few weeks/months time the entire series will be shown. Either way CITV is available on Freeview (Channel 122) and Sky (621). I’m confused; why make a comment about Advanced Battle/Battle Frontier when this article is about the new XY Series.